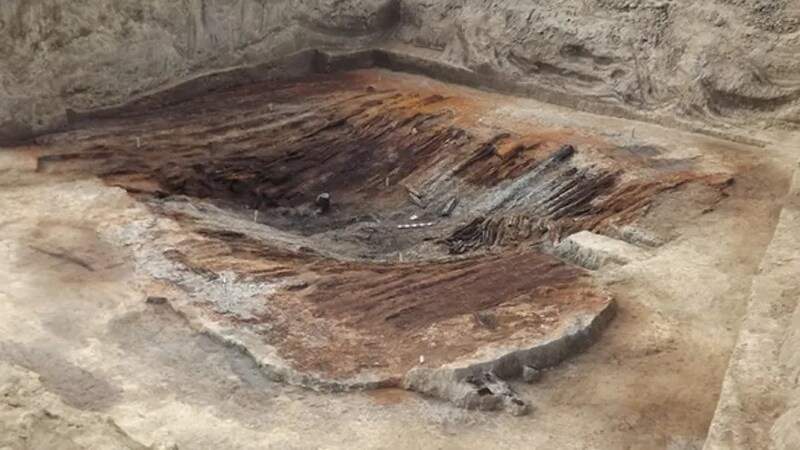 The burial site, which would’ve been intended for a chief, dates back over 4,000 years to a time archaeologists call the Early Bronze Age, said Zurab Makharadze, head of the Centre of Archaeology at the Georgian National Museum. “In the burial chamber were placed two four-wheeled chariots, both in good condition, [the] design of which represents fine ornamental details of various styles,” Makharadze wrote. Thechamber also contained wild fruits, he added. While the human remains had been disturbed by a robbery, which probably occurred in ancient times, and were in a disordered position, the archaeologists found that seven people were buried in the chamber. “One of them was a chief and others should be the members of his family, sacrificed slaves or servants,” Makharadze told Live Science in an email. These interactions appear to have led to some individuals, like this chief, getting elaborate burials. The newly discovered armchair symbolizes the power that individuals like the chief had. “The purpose of the wooden armchair was the indication to power, and it was put in the kurgan as a symbol of power,”Makharadze said in the email.